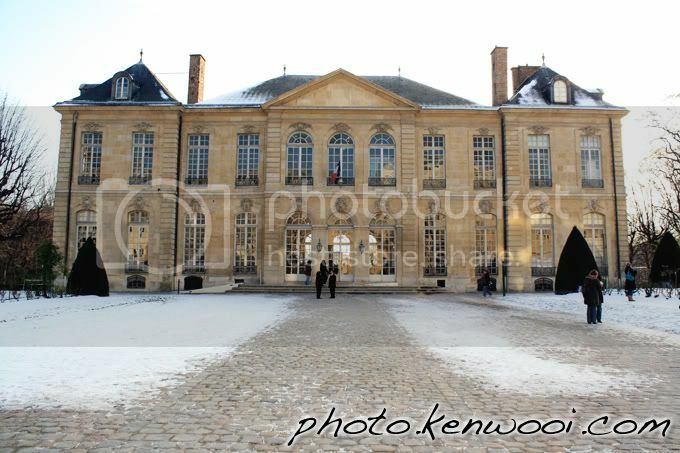 The Musée Rodin in Paris, France, displays works by the French sculptor Auguste Rodin. The gardens around the museum building contain many of the famous sculptures. It was snowing when I was there.